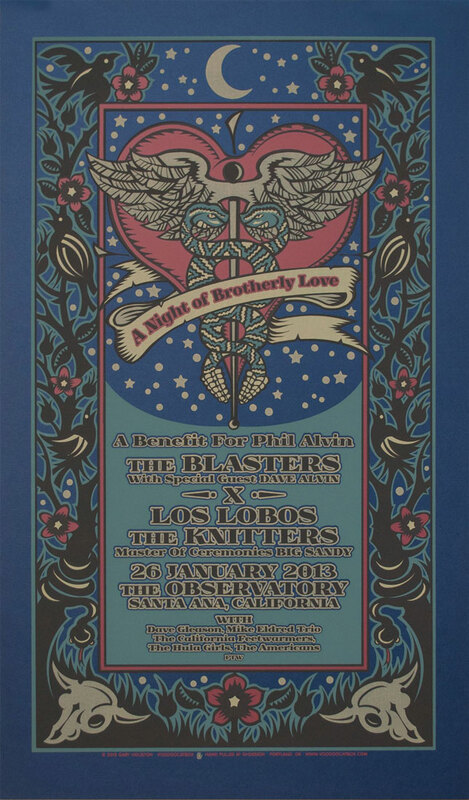 Artist Gary Houston of Voodoo Catbox has created a fantastic silkscreen rock poster to benefit Phil Alvin. Blasters founding member and lead singer Alvin was hit by the nasty Mersa virus about a year ago and nearly died last summer during a relapse, according to his brother, guitarist, singer and songwriter Dave Alvin. Phil has since recovered but has amassed significant medical bills that will need help to pay off. What is the price for this poster, please?